… she was 42-years-old when she died from ovarian cancer. Gilda Susan Radner was born June 28, 1946 in Detroit, Michigan. She grew up in Detroit with a nanny, Elizabeth Clementine Gillies, whom she called "Dibby"; whom she based her famous character Emily Litella). In Ann Arbor, Radner began her broadcasting career as the weather girl for college radio station WCBN, but dropped out in her senior year to follow her then-boyfriend, a Canadian sculptor to Toronto, Canada. In Toronto, she made her professional acting debut in the 1972 production of Godspell with future stars Eugene Levy, Andrea Martin, Victor Garber and Martin Short. Afterward, Radner joined the Toronto Second City comedy troupe. Radner was a featured player on the National Lampoon Radio Hour, a comedy program syndicated to some 600 U.S. radio stations from 1974 to 1975. Fellow cast members included John Belushi, Richard Belzer, Chevy Chase, Bill Murray, Brian Doyle-Murray, and Rhonda Coullet. Radner gained name recognition as one of the original "Not Ready for Prime Time Players,” a member of the freshman group on the first season of Saturday Night Live. She was the first performer cast for the show. Between 1975 and 1980, she created such characters as obnoxious personal advice expert Roseanne Roseannadanna, "Baba Wawa,” a parody of Barbara Walters, and Emily Litella, an elderly hearing-impaired woman who gave angry and misinformed editorial replies on "Weekend Update". 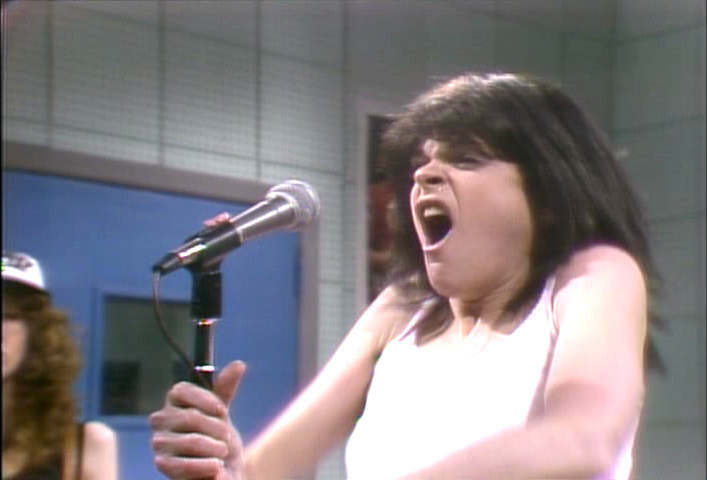 Radner also parodied such celebrities as Lucille Ball, Patti Smith, and Olga Korbut in SNL sketches. 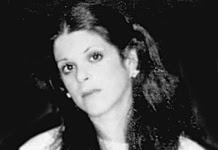 Radner wrote in her autobiography It's Always Something that toward the end of her life she, "coped with stress by having every possible eating disorder from the time I was nine years old. I have weighed as much as 160 pounds and as little as 93.” Gilda once told a reporter that she had thrown up in every toilet in Rockefeller Center. In 1979, incoming NBC President Fred Silverman offered Radner her own prime time variety show, which she ultimately turned down. That year, she was one of the hosts of the Music for UNICEF Concert at the United Nations General Assembly. Radner met actor Gene Wilder on the set of the Sidney Poitier film Hanky Panky, when the two appeared together. Radner went on to make a second film, The Woman in Red, released in 1984 with Wilder and their relationship grew. The two were married on September 18, 1984, in St. Tropez. The pair made a third film together, Haunted Honeymoon, released in 1986. 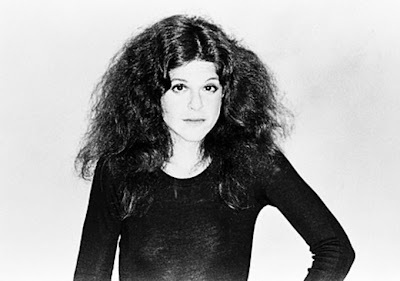 Radner won an Emmy Award for "Outstanding Continuing or Single Performance by a Supporting Actress in Variety or Music" for her performance on Saturday Night Live in 1977. She posthumously won a Grammy for "Best Spoken Word Or Non-Musical Recording" in 1990. In 1992, Radner was inducted into the Michigan Women's Hall of Fame for her achievements in arts and entertainment. On June 27, 2003, she also has a star on the Hollywood Walk of Fame. 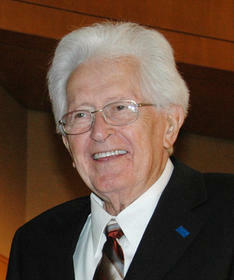 ... he was 84-years-old when he passed away. The Four Freshmen began as a barbershop quartet called Hal's Harmonizers at Butler University's Arthur Jordan Conservatory in Indianapolis, Indiana. 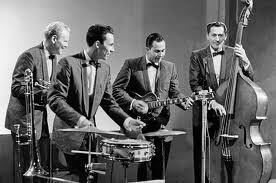 In 1950, The Four Freshmen got a break when band leader Stan Kenton heard the quartet in Dayton, Ohio, and arranged for an audition with his label, Capitol Records, which signed The Four later that year. In 1952, they released their first hit single "It's a Blue World". Further hits included "Mood Indigo" in 1954, "Day by Day" in 1955, and "Graduation Day" in 1956. Flanigan, a respected trombonist, also played bass with the outfit for several decades, beginning on September 20, 1948, and sang the top part. The Four Freshmen won Best Vocal Group of the Year in Down Beat magazine's Readers' Polls in 1953, 1954, 1955, 1956, 1958, 2000, and 2001. Still performing after 62 years, (1948–present), The Four Freshmen have recorded 49 albums, CDs, and DVDs. After retiring from performing in 1992, Flanigan maintained the band's name and was responsible for the group's changing cast of performers. In his autobiography, Brian Wilson attributes the success of the Beach Boys' initial sound to the harmonic chord choices found in Four Freshmen arrangements. The Beach Boy's often perform "In My Room," acappella during concerts as a tribute to the Four Freshmen.